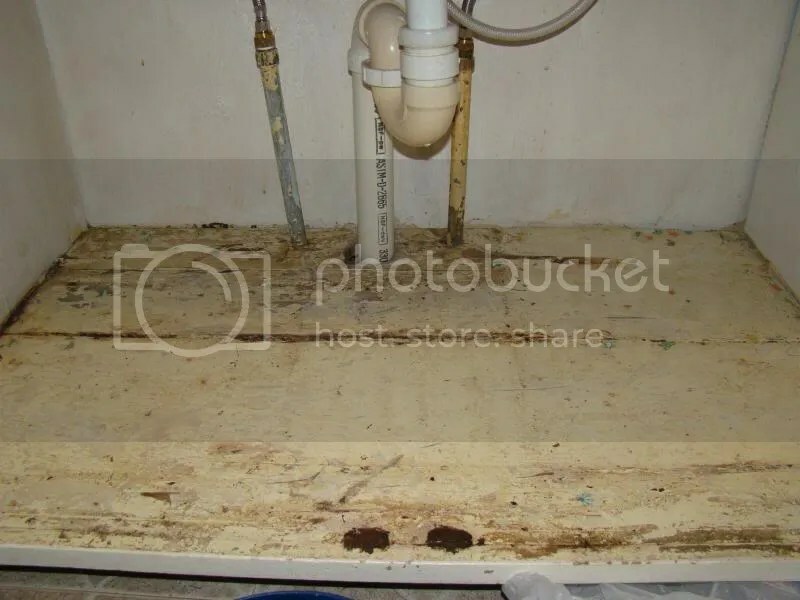 When we moved in our cleaners, garbage bags, and similar items just got stuck in a tote and shoved under the kitchen sink to get them out of the way. The other night I decided to organize things so we didn’t have to dig for whatever cleaner we needed. 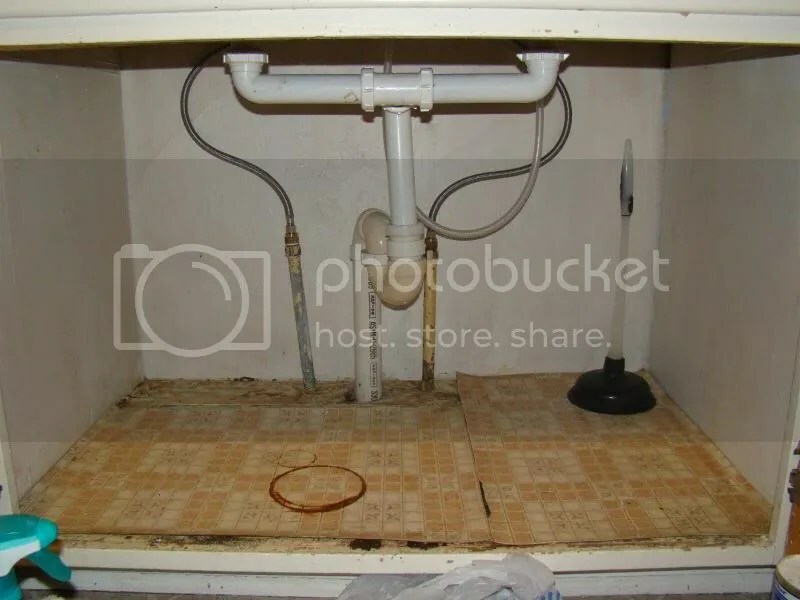 The base of the cabinet was lined with an old dirty piece of linoleum. 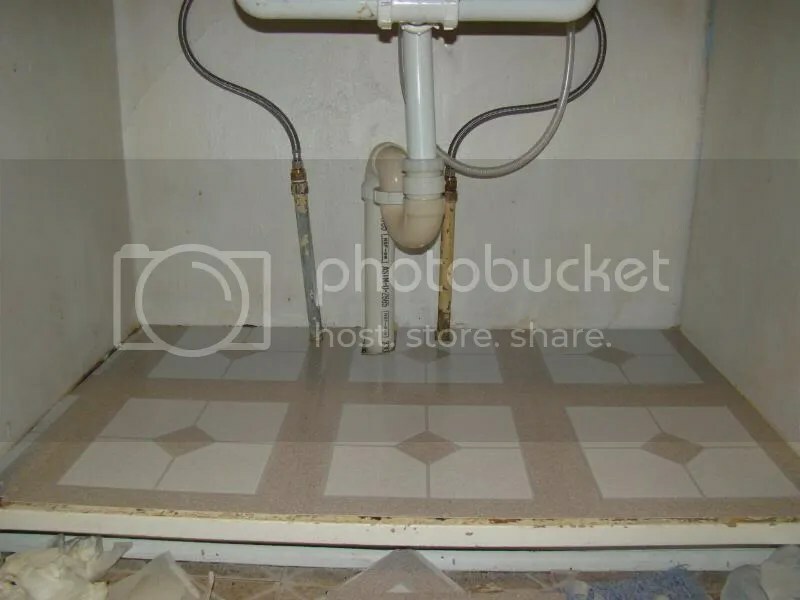 I removed the linoleum. Underneath it didn’t look a lot better. I cleaned up the floor of the cabinet. Then I placed peel-and-stick tiles in the cabinet so there would be a clean, smooth surface in there that would be easy to clean up. Our kitchen floor has two layers of peel-and-stick tile and the extras from both layers were left here by the previous owners. I used some in the bathroom vanity in a project very similar to this one. Then I started putting everything back in the cabinet. It always takes me a few tries to get things arranged the way I like them. I’m not one of those people who figures out the arrangement in my head and then places everything. I have to actually put the stuff in the cupboard and see it there and then I can modify as needed. I used our dish drainer to hold come of the cleaners and the roll of garbage bags is in the silverware holder in the dish drainer. We have a dishwasher at this house (yay!) so we won’t be using the dish rack but I didn’t want to get rid of it. The cleaners and items we use most frequently are at the front of the cabinet. 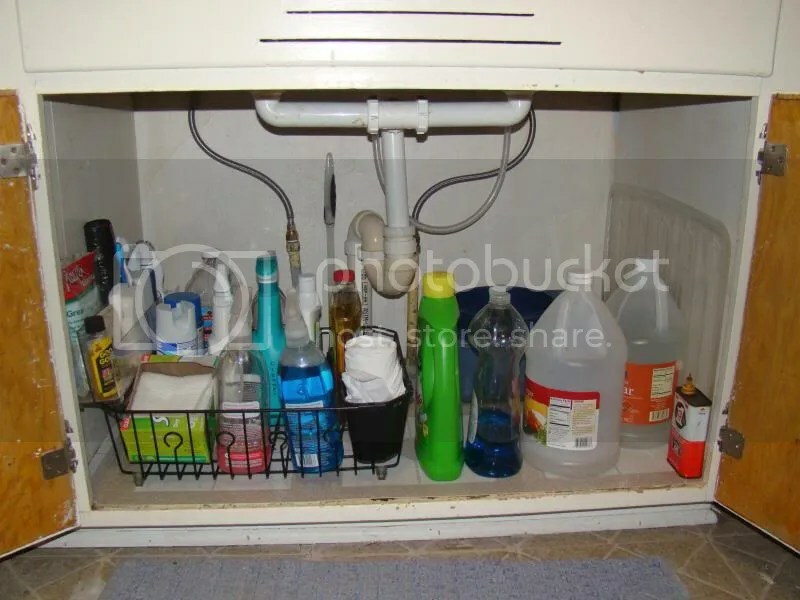 Refill containers and empty containers to use for soapy water are at the back of the cabinet. The little clear organize to the left is actually an organizer that is designed to stick to the fridge. It doesn’t really work on our fridge here because of its location but it works well for holding sponges, gloves, and similar items. 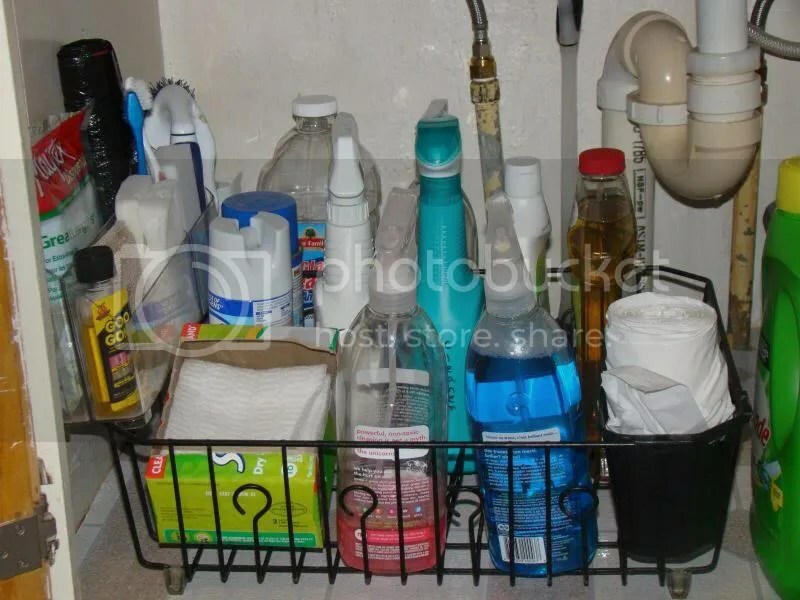 I also considered using a tension rod to hang the bottles of cleaners on but I didn’t know where one was and I didn’t want to dig through boxes for it so I skipped using it. I can always go back and put one or two in later if I don’t like how this is working.